North Belfast assemblywoman Caral Ni Chuilin helped to re-launch the Bobby Sands Trust website which recently updated its contents to exhibit reams of information, photos and personal writings from the hunger strikers. 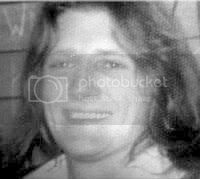 The internet portal contains thousands of facts about Bobby Sands, the 27 year old Member of Parliament who went on hunger strike in 1981 after years of solitary confinement along with nine other men. Sinn Féin president Gerry Adams said that due to the diligent work of some republican activists at that time, material was kept and archives were developed. "I think this is really important," he said. "It means that those who want to learn about aspects of the situation at that time are now able to read, in the words of those who were involved then, their thoughts and ideas and fears and hopes, and then to be able to form their own judgements based upon all the information provided." The Trust has the aim of archiving all Irish republican prison-related poems and songs since the founding of the United Irishmen, and to also eventually archive prison protest songs from other anti-imperialist struggles and anti-fascist struggles around the world. The Trust is made up of comrades of Bobby and his republican contemporaries. Originally, North Belfast civil rights lawyer Pat Finucane, who was assassinated in 1989 by loyalist paramilitaries, was an advisor to the Trust. The legal firm Madden and Finucane continues to act for the Trust whose original members were Gerry Adams, Danny Morrison, Tom Hartley, Tom Cahill [deceased], Marie Moore and Danny Devenny. For a time Bobby's two sisters, Marcella and Bernadette, were members of the Trust. Current members are Gerry Adams, Danny Morrison, Tom Hartley, Jim Gibney, Brendan 'Bik' McFarlane, Sile Darragh, Carál Ní Chuilín and Peter Madden. Hunger, the debut feature by English visual artist Steve McQueen, is an intensely powerful film that never tries to overwhelm you. It is as unyielding as the men it documents - the Irish Republican Army members who undertook fatal hunger strikes in Northern Ireland's Maze Prison in 1981 - but refuses to force a judgement or demand sympathy. The focus of McQueen and his co-writer, Enda Walsh, is regressively intimate: inside a prison, inside a cell, inside a body. The background of the IRA's struggle for independence from Britain is barely mentioned, let alone explained. Instead, one frightened young man, Davey (Brian Milligan), who refuses to wear a prison uniform because of standing demands to be treated as political prisoners, finds himself entering the cell of Gerry (Liam McMahon). Excrement covers the walls, urine puddles on the floor, food rots in the corner. Hunger is a film about how an individual defies the state. The battleground is their bodies. A haircut, never mind a cavity search, is a pitched battle. The mainly Protestant guards - who faced IRA execution threats at the time, have to suppress their individuality to survive. McQueen's background means he is unafraid to convey information visually. There are several, purposefully framed, unsettling tableaus and McQueen designs three, distinct acts: Gerry and Davey's struggle; a 22-minute conversation between Bobby Sands (Michael Fassbender) and a Catholic priest (Liam Cunningham) about a planned hunger strike (their conversation shot in a single take); and the 66-day hunger strike that culminated in Sands' death (the first of 10 inmates to die). As he grows increasingly emaciated, Sands' mind wanders, leaving his failing body behind. A prison hospital intern eventually builds a frame around his bed to hold the bed clothes up, as they're too heavy for his decaying flesh to bear. It is an act of tenderness, but creates a final cell for Sands to inhabit; Hunger is besieged by such harsh, haunting contrasts. It is a film of patient, illuminating strength.